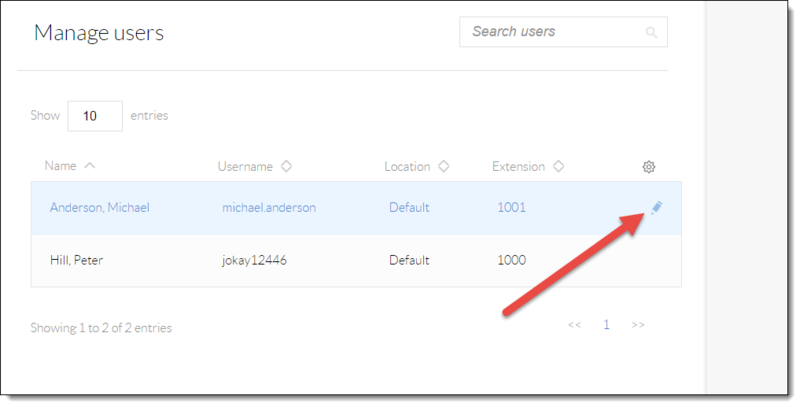 From the main dashboard, hover your cursor over Users and select Manage Users (Figure 1-1). 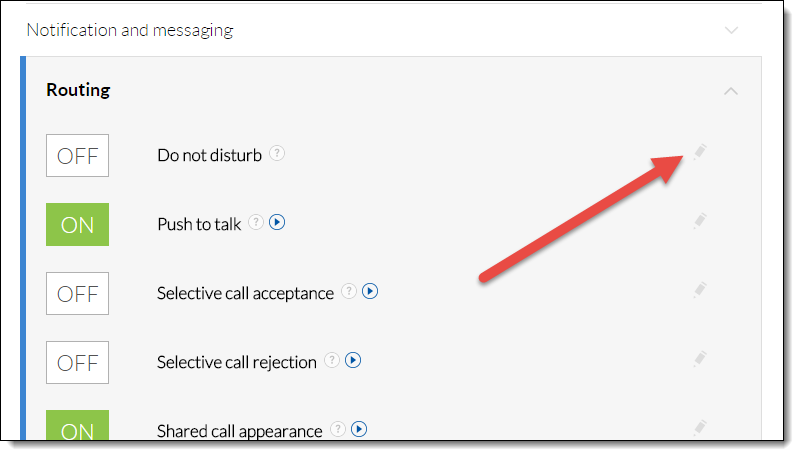 Hover your cursor over the User you want to set up Do Not Disturb for, and click the pencil icon to the right (Figure 1-2). Scroll down, and select the Routing section (Figure 1-3). Click the pencil icon to the right of Do not disturb (Figure 1-4). 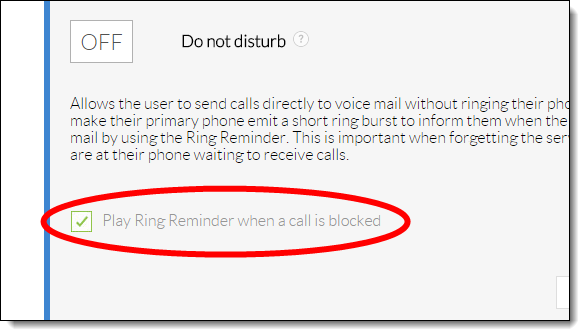 If desired, select the Play Ring Reminder when a call is blocked check-box. This option will play a short ring when an incoming call is blocked (Figure 1-5). 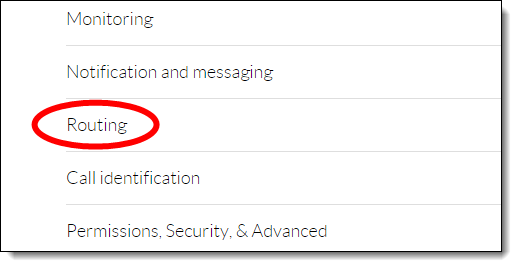 The feature access code for this feature does not change, regardless of phone model or manufacturer. NOTE: In this guide, off-hook is used to describe when a phone is in use, or has a dial tone before a call is made. On-hook describes when a phone is idle. Dial *78 to activate Do not disturb, or *79 to deactivate Do not disturb. You will hear an automated message stating "Your Do not disturb services has been activated successfully" or "Your Do not disturb services has been deactivated successfully." After the message is finished playing, the phone will automatically hang up.